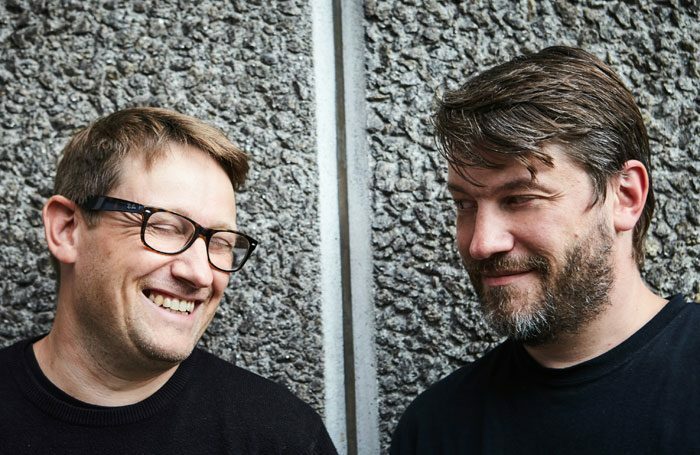 Ben and Max Ringham’s north London studio is stuffed with synths. Short synths, long synths, old-school synths, swish synths – a whopping 17 in total. They’re everywhere: on the desk, on the floor, hanging off every wall. There’s an old Minimoog with a retro finish and a Moog Liberation keytar on a stand. They’ve been collecting keyboards since they were kids, and they’re the secret behind the most distinctive sound in British theatre today. At first glance, the two sound designers don’t look much like brothers. Max, 46 and older by four years, has a flop of sandy hair, tortoiseshell glasses and a geeky voice. Ben has salt-and-pepper locks cropped in a short back’n’sides and a beard that stays the right side of hipster. He’s more laid back; Max tends to fidget. On closer inspection, they’ve got the same laughter-lined eyes – and, apparently, the same taste in synths. 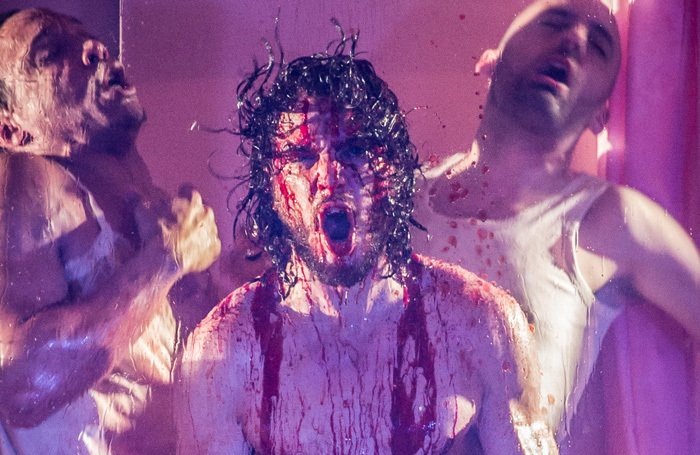 “Theatre was just something that happened to us,” says Ben. “Music was going to be our career.” Growing up in London, accumulating keyboards, the pair started playing together. “Our parents were really supportive. By the time I was 15, we had a room to write music in and argue about who got the next go.” By then, Max had a DJ slot, which Ben took over in his absence. Before long, they formed a dance duo and a band called Superthriller, and set up a studio in Shoreditch. In Shunt’s shows – large-scale, surreal site-specific pieces – sound added to the strange sense of disorientation. The brothers made it up as they went along. Tropicana swung from woozy electro to lift muzak. Dance Bear Dance turned traffic into dance tunes. Their scores never settled for a second. They erupted into animal noises and buzzsaw choruses. They tipped from music into sound. By 2005, the National Theatre was offering Shunt behind-the-scenes support. 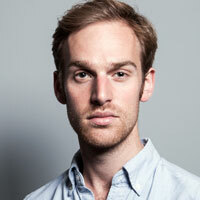 “We had a drunken evening, met Nicholas Hytner and suggested that he might give us a job. Three months later, he called us up and said, ‘Do you fancy doing something in the Olivier?’” That something was Henry IV Parts I and II with Michael Gambon and David Harewood – not bad for a first gig. Back in Shoreditch, strapped for cash, the brothers survived on stock music. “We got these briefs for production music: five deep house tracks, five rock songs, five party tunes – £200 a pop.” Looking back, that was their training. The variety instilled enough versatility that they could turn their hand to any show’s sound – be it retro farces with Sean Foley, Jamie Lloyd’s poppy classics, or the dark, deranged dance shows of David Rosenberg. That variety is showing itself in a season when the Ringhams will move from Jonathan Munby’s King Lear in Chichester – think Bristol indie-grunge a la Portishead and Massive Attack, with a new national anthem to boot – to the gameshow themes and hacking coughs of James Graham’s Quiz, about the cheating major on Who Wants to Be a Millionaire?. In Manchester, meanwhile, they are creating the soundscape for Our Town entirely out of human voices – an a capella score with spoken-word sound effects; pitter-patters for rain, crowing for cockerels. It’s the sort of concept they enjoy – sound with vision; a score to a scheme. “It’s about being true to a process,” says Max – regardless of whether an audience clocks it or not. 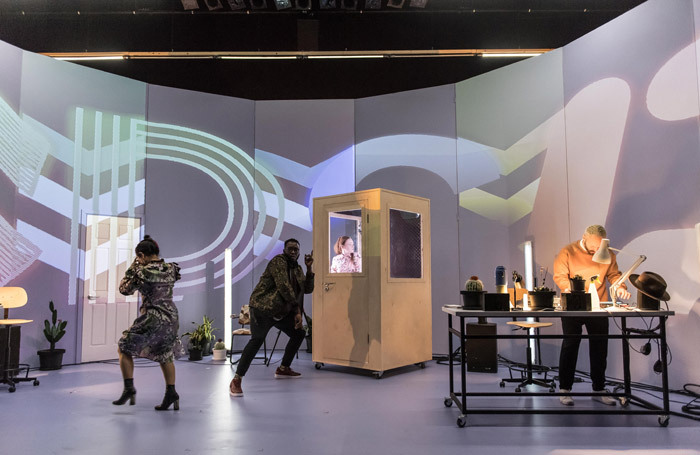 “Somehow the intention finds a way through – even if only on a subconscious level.” For La Musica at the Young Vic, a script that specifies not just the two tunes, but the exact recordings, they built a new score out of that limited palette, sampling and remixing the songs in question. Headlong’s Pygmalion, meanwhile, put sound at its centre; its world built out of recording booths, vocal manipulation and beatboxing emcees. It’s rare to see sound take centre stage, but it’s happening. The Encounter did it with Gareth Fry’s binaural masterclass, as do Sound and Fury’s shows in pitch dark. But it needs sound designers to step up as artists in their own right. The Ringhams do that. They’ve always sought their own singular sound – an ambition born out of the dance scene’s sampling culture. Describe it, I say. “Scratchy-sampley,” Ben replies. “Crusty and low-fi.” Mostly, it’s defined by the library they’ve built up over 20-odd years, full of odd recordings they’ve retuned as instruments. One “particularly creaky, squealing” Sainsbury’s lift recurs in their shows. Another was scored entirely from playground gates, one of which “bent up to a perfect A”. “We’re much more interested in a sample that has some crackle and character behind it,” says Max. “The sound of a broken amp or a tape with delay.” The point, he goes on, is that anyone can do clean and shiny. As software gets cheaper, library sounds become more ubiquitous. They’ve sworn off low drones and vague rumbles. If you hadn’t been sound designers, what would you have been? What is your best advice for aspiring sound designers? Try everything. It won’t break and, if you don’t, you’ll never know. Trust yourself, relax – and what a DSM is (Ben). Make friends with Chris Shutt and steal all his sound effects (Max). Chris Shutt, Paul Arditti, Gareth Fry and Melanie Wilson. Also Prince. Before every preview, we listen through every single cue in the space and again on a laptop.